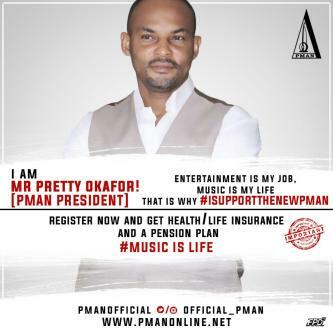 THAT PMAN is the only registered Entertainment Trade Union in Nigeria. ..... meaning that every association that has to do with entertainment is under PMAN..
THAT: If you are a performer of any kind.... singer...dancer...instrumentalists. You also belong in PMAN.. THAT: Sound Engineers Music Producers Record Label Owners Music Video Directors. Actors Movie Producers Movie Directors Are really all under PMAN..
entertainment industry in Africa to own a server that can take millions of data of every of its members. .
THAT: The entertainment industry is worth 9 trillion naira The Oil industry worth 5 trillion naira The Telecommunications is worth 2.3 trillion naira Yep...yearly. ... Have I gotten your attention yet? THE NEW PMAN....is building these new structures to lay a foundation for ourselves, the economy at large and our Children to come. 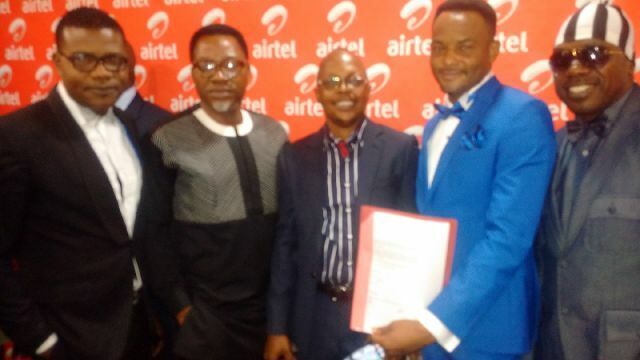 Get your Airtel CUG line for free at any of the banks above and then register for your pman biometric I.d card for five thousand naira only NOW.......if you didn't know PMAN is now equipped with all these... ...........YOU ARE WELCOME............ Music is life. We can now take care of our own. We wont stop. God bless PMAN. God bless the Federal Republic Of Nigeria.